From the blockbuster 2016 movie that returned the classic Godzilla franchise to its roots! This version of the most famous kaiju in the world is based on Godzilla’s “Atomic Blast” attack in the movie. The figure measures 6” tall and 12” long from head to tail. 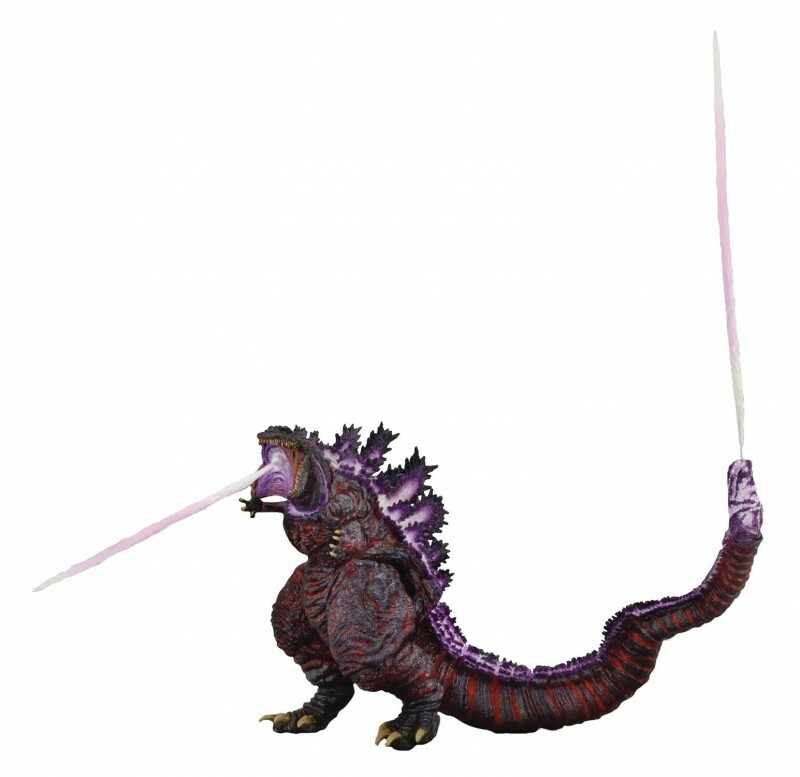 It features Atomic Blast effects that attach to both mouth and tail, all new paint deco, new head sculpt, and over 30 points of articulation, including an articulated tail!